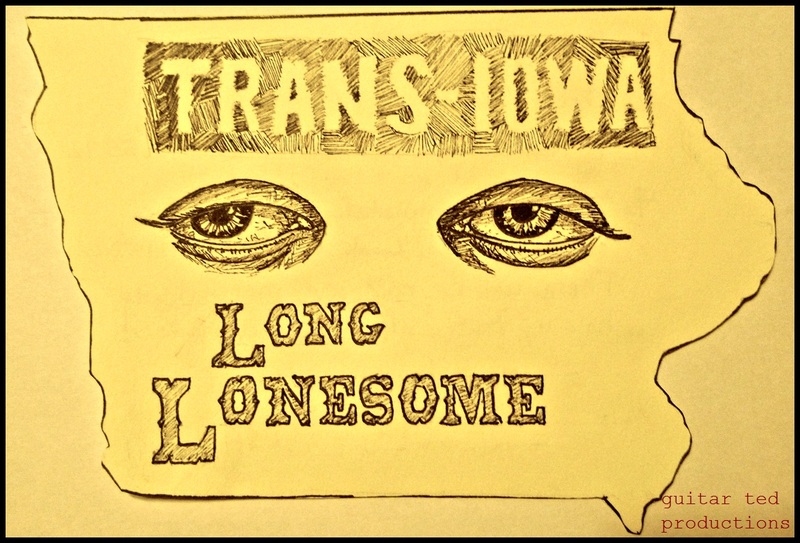 Besides the obvious historical things behind this event, and the little recaps from each year, there are a few general questions I seem to get all the time about Trans Iowa. So, I thought these questions could be answered here, and reference could be made here for those wondering what the heck is going on here with this event. In no particular order, here are the questions I most often am asked about Trans Iowa…..
Do The Riders Sleep During The Event? Short answer: No. Long Answer: Essentially, they do not have the time to. 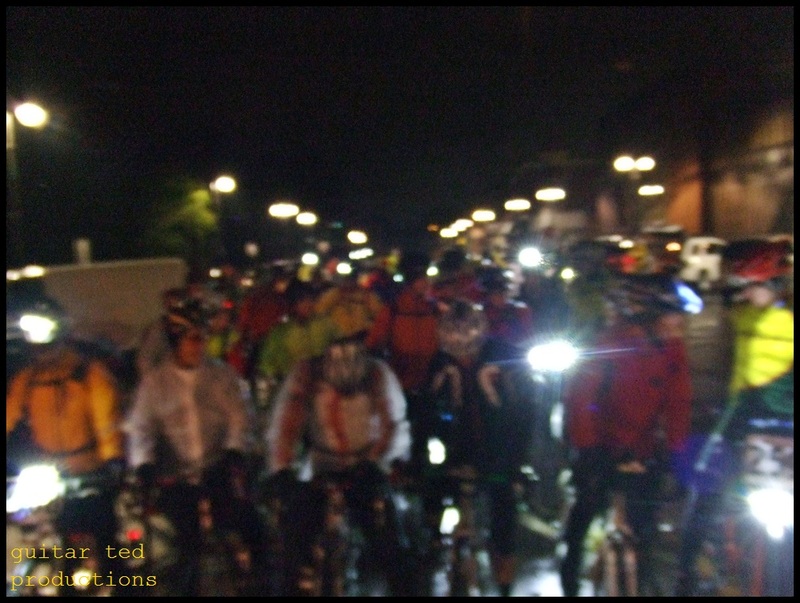 That is because of the time limits imposed on the riders to make the various checkpoints we set up on course. There have been reports of riders taking long breaks and napping though. How Much Time Do They Get To Do It In? Short answer- 34 hours. Long answer- The time limit of 34 hours is also tempered by the fact that riders must get to two checkpoints in a certain allotment of time as well. This typically is based upon covering ten miles of the course every hour. NOTE: This is not “10 miles per hour” as in speed, we’re talking covering ten miles on the course every hour, including all stopping for eating, mechanicals, navigating, and whatever riders stop for. It’s harder than it sounds. A lot harder. Is It All On Gravel? Short answer: At least 90% plus is. Long Answer: The original idea was to see if we could set up an event using entirely gravel roads across the state. While this is possible, it isn’t reasonable, since allowing competitors access to convenience stores, or other re-supply options means some pavement will be involved. Still, the event is run with as little pavement as we can possibly get by with.There are also “B Maintenance Roads” which are not paved, but are not necessarily gravel either. What Is A “B Maintenance” Road: Short answer: A Dirt Road- Long Answer: Called different names in different areas in this country, the roads in question are usually devoid of gravel, and generally consist of graded dirt, most often without a ditch on either side. This isn’t always the case, and these roads can be almost indistinguishable from an ordinary gravel road, to almost unrecognizable as a road. Most often, wet weather renders these “roads” impassable in any way other than by foot. How Long Is It?!! 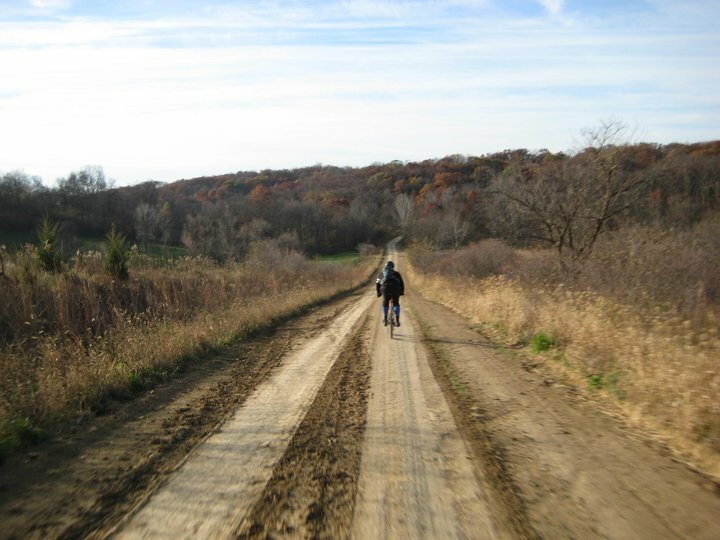 Yes, Trans Iowa is the monster of gravel road events. Obviously, the length was dictated by the original intentions to ride across the state of Iowa on gravel west to east, which is nominally 310-330 miles, depending upon just where you cross. When the event went to a loop format, the distance was retained to reflect what it would take to ride across the state in a limited amount of time. What Kind Of Bikes Do They Use? While I’ve seen everything from beater Motobecanes with PowerTap wheels to stripped down fixed gear bikes, the typical rider uses a cyclo-cross bike that accepts bigger, 35-45mm tires, or you’ll see a smattering of 29 inch mountain bikes. I’ve seen bagged touring bikes, 26 inch full suspension bikes, and many will even attempt Trans Iowa on single speed bikes every year. There are usually a few odd ball bikes every year. Where Do The Riders Come From Who Ride In Trans Iowa? We’ve had riders from about every state in the Union and some from Canada. We even had two guys come and ride T.I.V9 from the U.K. On V10 we had two guys from Germany, two guys from Canada, and one fellow from the U.K. Most come from the Mid-West though. How Many Riders Do You Get Every Year? It has varied from just under 50 to a record 106 who took the start for T.I.V10. Why Don’t You Charge To Enter Trans Iowa? Short answer: Trans Iowa does not take any entry fee since T.I. does not provide any service to the riders. Long Answer: Insurance rates for two day events are astronomical, and I don’t like expensive entry fees. I put on Trans Iowa because I have fun doing it. When it ceases to be any fun, I’ll quit. Riders come for the challenge that the route and timing present. If they can not deal with self reliance, self support, and responsibility for themselves, they should not ride in Trans Iowa. It’s a different philosophy from most events. I can’t put a price tag on it. The only people making any money off Trans Iowa are the motels and convenience stores on the route. I lose money putting it on. A lot of money. How Many Finishers Do You Get? Short Answer: About 10 on average for the event. Long Answer: Well…..this can get a little complicated. Trans Iowa has had a year with “no finishers”, a year with 24 finishers, a year with 36 finishers,(the current record), a couple of truncated events where a few folks were still in it at the end, (T.I.V4, T.I.V6), and a couple full course finishes with numbers in the upper teens, (T.I.V7 and T.I.V8). It is totally weather dependent. Bad weather can totally shut the event down, (T.I.V2, T.I.V6), or weather can affect the roads in such a negative way that the event has to be truncated, (T.I.V4). If the weather is reasonable, I suspect we’d see ten to twenty people finish on average in any given year, but you just never know! Why is the event called “Trans Iowa” when it doesn’t traverse the state? Short answer: Because it did when we started. Long Answer: Well, the whole idea stemmed from an event that traversed the state, and we intentionally wanted to have the challenge for that distance, (or a shorter 130-ish mile gravel grinder may have happened instead had the cross-state idea not taken ahold). Rider input was for the cross-state idea over anything else. So, after seeing what the guys at Dirty Kanza had done in forming a gigantic loop, I decided to make things easier on everyone by adopting the “big assed loop” idea (so named by Jeff Kerkove), and making it our own in T.I.V3. Interestingly, the event was being called “Race Across Iowa” and “Epic Across Iowa” very early on by Jeff, so had he not finally gone with “Trans Iowa”, we may have been using “RAI” or “EAI” now. Are You Guys Crazy? : Short answer: Yes. Long Answer: Well, is it really crazy to find out what you can do beyond the normal? Is it normal to be complacent and “safe”? I guess I would say that the Trans Iowa riders I know are really “normal” people doing extraordinary things with their lives. 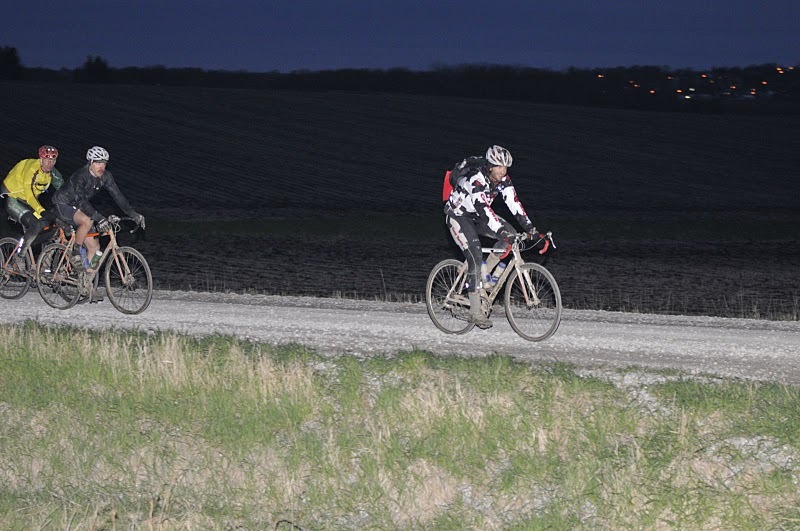 You probably would never guess most of the folks in this event are “endurance nutters” by their typical, everyday activities, but you would be amazed at what they can accomplish in a weekend on Iowa gravel roads. Are The Old Routes Published/Available To Download? Short Answer: No. Long Answer: The philosophy I have on Trans Iowa is somewhat like poker in the way that you have to “pay” to see the winning hand. In the same way, if you actually toe the line for a Trans Iowa, I see that as earning the cues sheets to the first checkpoint. If you successfully ride to that checkpoint under the time limit, you earn the right to see the next part of the route, and then if you get to the last checkpoint on time, you get the right to see the rest of the route. Trans Iowa is for the Trans Iowa Riders. If you want to “get the route” or “see the route”, I will not be publishing the exact cues. If anyone that has finished a T.I. wants to share, well, that’s up to them. That Said….. There is this thing that you could download up until August 31st, 2014 which is called the “Trans Iowa Masters Program” route. It essentially is made up from bits of four of the first Trans Iowa routes- T.I.V1, T.I.V2 make up the majority of it, and T.I.V3 and T.I.V4 also have short bits as part of the TIMP route. There also is a pretty sizable chunk or two that is all new. Are these guys getting ready for RAGBRAI? Seriously? ……….I won’t even address this question. But we get it all the time here in Iowa. Is the route published here? @Bud Murf: None of the routes, (Ten different ones as of this comment), have ever been made public. perhaps someday they might…..
Are you willing to accept suggested routes through a particular area? I’m not a bike racer so I don’t have skin in the game, nor know any racers that participate in these types of endurance rides. But I would be more than happy to help plot some routes through our county.